I have made bread before….. okay I have used a packet mix and it was passable, but it did not inspire me to make more. 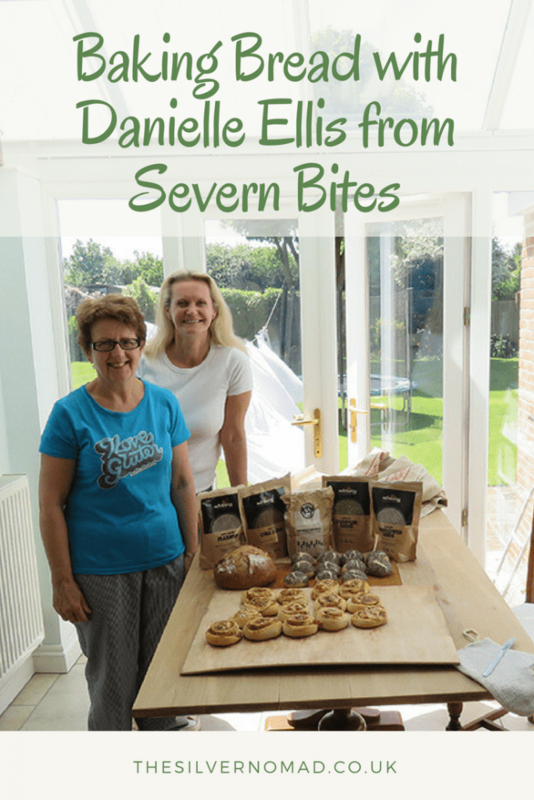 Danielle Ellis from Severn Bites challenged me to learn how to make bread from scratch and as she is a professionally trained bread baker, who better to teach me? 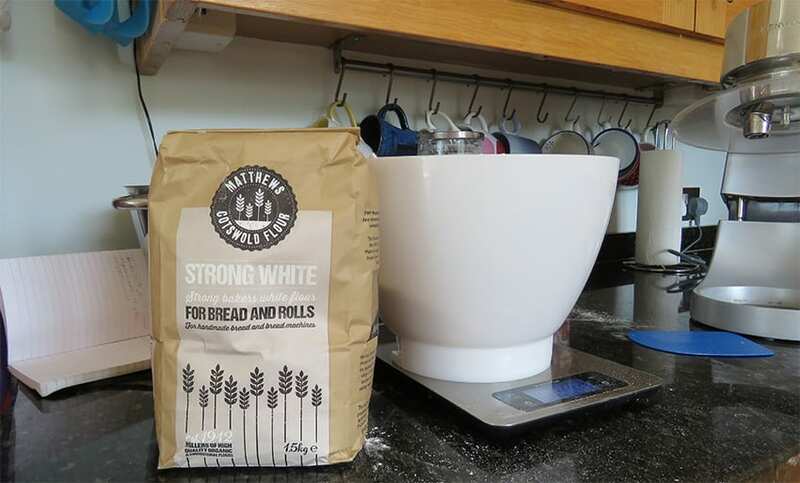 Armed with my trusty bag of locally produced Matthews Cotswolds Strong White Bread flour, I arrived at the Gloucestershire home of Danielle for a morning of bread making. As the front door opened a fragrant waft of roast peppers and garlic greeted me along with a smiling Danielle. I was ushered into the large and airy kitchen and offered a coffee and an apron. Our first task was to prepare some of Danielle’s “White-ish Dough”. Into the mixing bowl went my Matthews Cotswold flour, some rye flour, yeast, sugar and tepid water and it was switched on to blend while we finished our coffee. Coffee drunk, and the now mixed dough popped in a clean, lightly oiled bowl and topped with a damp tea towel to prove, it was on to our next masterpiece. 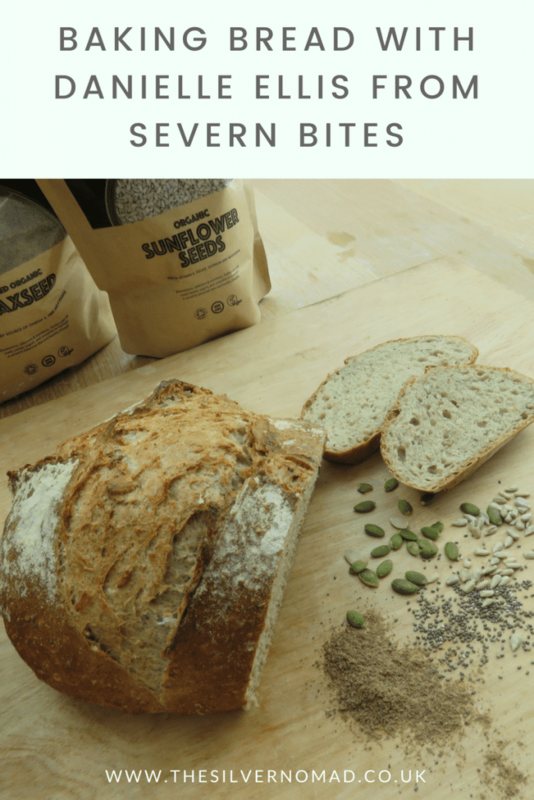 The dough, a multiseed mix with Nutrenergy organic pumpkin, chia, sunflower and flax seeds, had already had its first prove, but it needed to be knocked back. It was time to flex my muscles, stretching and pulling the dough back on itself to remove all the air bubbles and give it a smooth even texture. The dough was shaped into rounds and cut with a lame to allow it to expand while it bakes and popped into the oven. We were definitely on a roll now – sorry a bad bread-making pun – and back to our original White-ish dough. After measuring out the dough into 12 equal balls, I then shaped them by hand, by gently rolling them in on themselves. A brush of egg wash was followed by a dunk in Nutrenergy organic chia seeds and they were ready to pop in the oven. We rolled out our final ball of dough into a large rectangle and covered it with Danielle’s homemade pesto. After dotting it with the roasted peppers that I could smell as I walked in, the dough was rolled. Rolling it from the long side makes it easier to roll and a longer strip to cut. The slices are given a brushing of egg wash and a sprinkling of organic sunflower seeds and into the oven they go. Time for another coffee and to find out a bit more about Danielle’s background. After a career in marketing, Danielle was looking for a different outlet for her creativity. She found it in baking, particularly bread making. She trained in Briare in France at the bread making school Ecole Banette learning how to run a bakery as well as bread making techniques. In 2016, Danielle and her husband moved to Gloucestershire where she set up running her courses from home. Her expertise is sought to test flours, seeds, oils and devise new recipes. There is no better taste than freshly baked bread! I am really proud of the selection of bread we baked and my time was over much too soon. Needless to say, I will be back… maybe pizza making next time? Watch this space! Inspired to Learn to Bake Bread? Danielle runs classes in Bread Making, Pizza Making and Baking with Sweet Dough classes at her Gloucestershire home. A lovely relaxed atmosphere, I would highly recommend her relaxed teaching style.